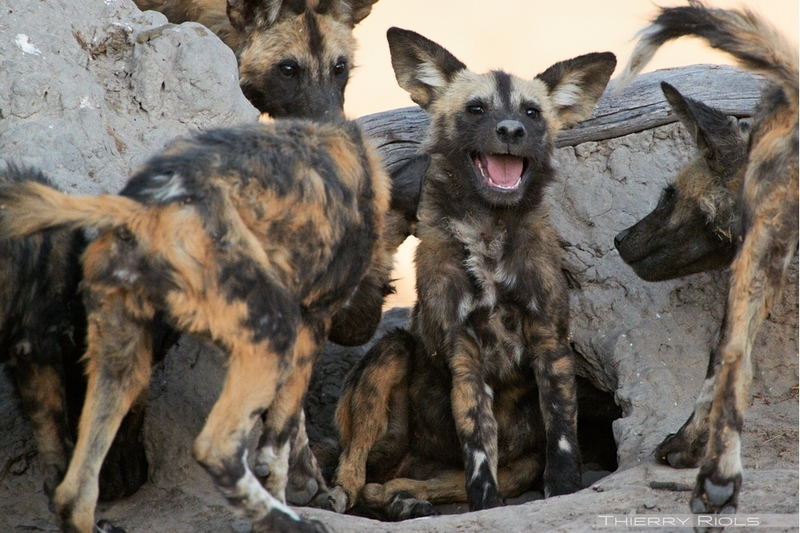 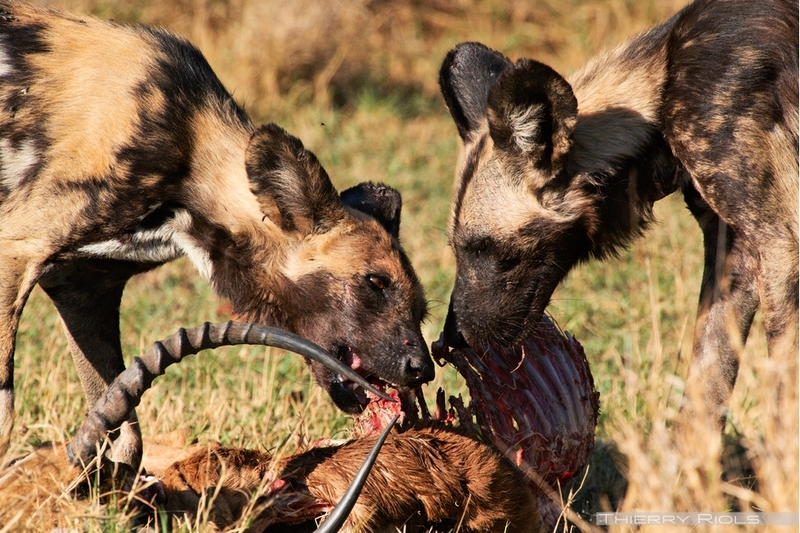 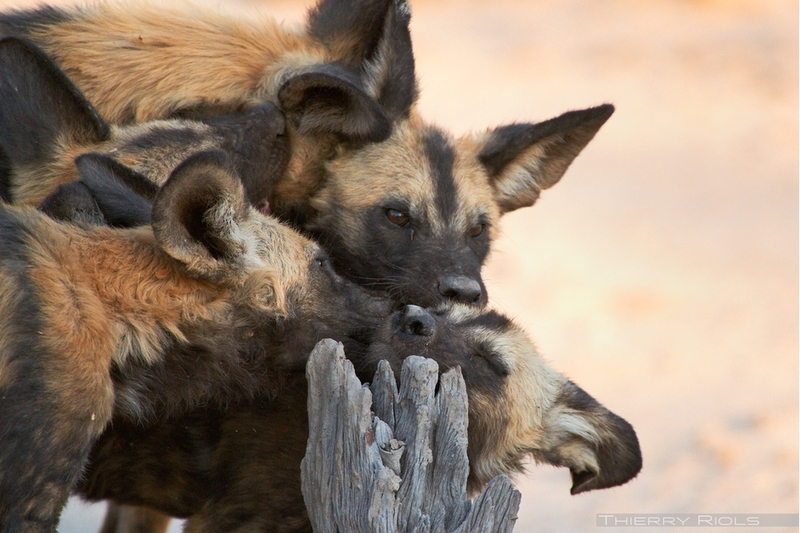 African wild dogs - Lycaon pictus - follow a highly organized group life. 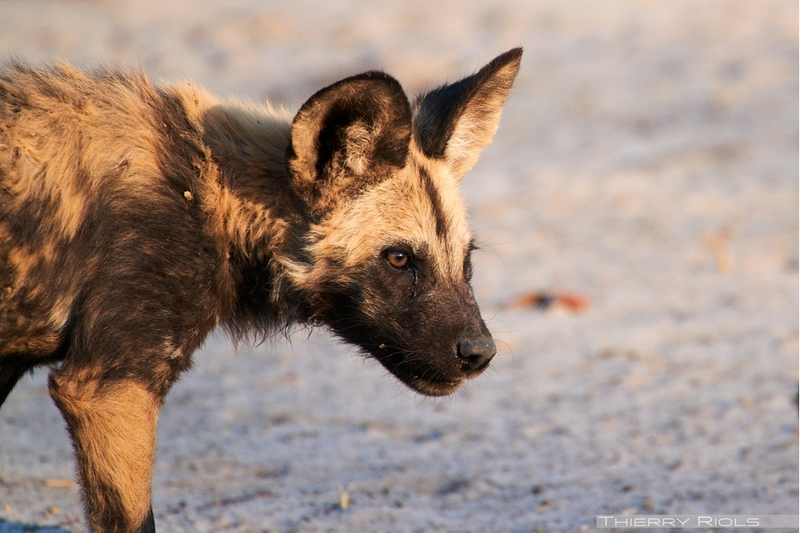 Though small Wild dog is one of the best hunter of savanna. 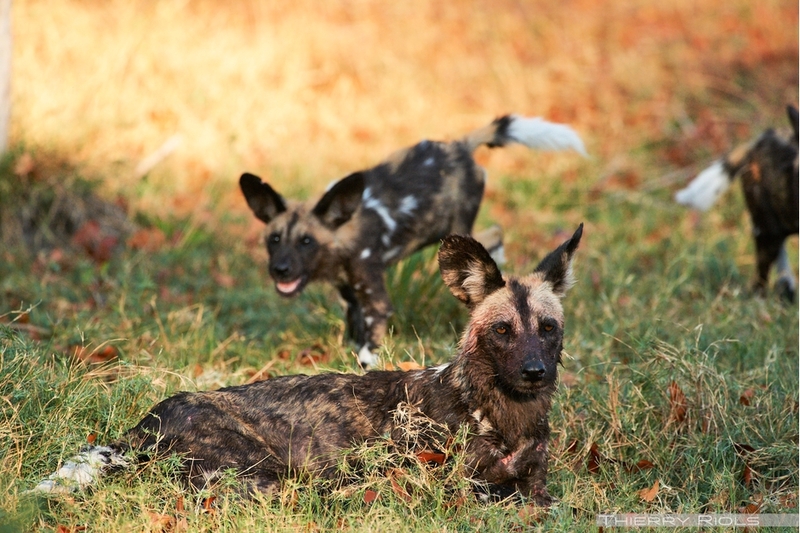 Very fast and in packs, wild dog can run at an average of 25 km / h for 6 km with peaks at 50. 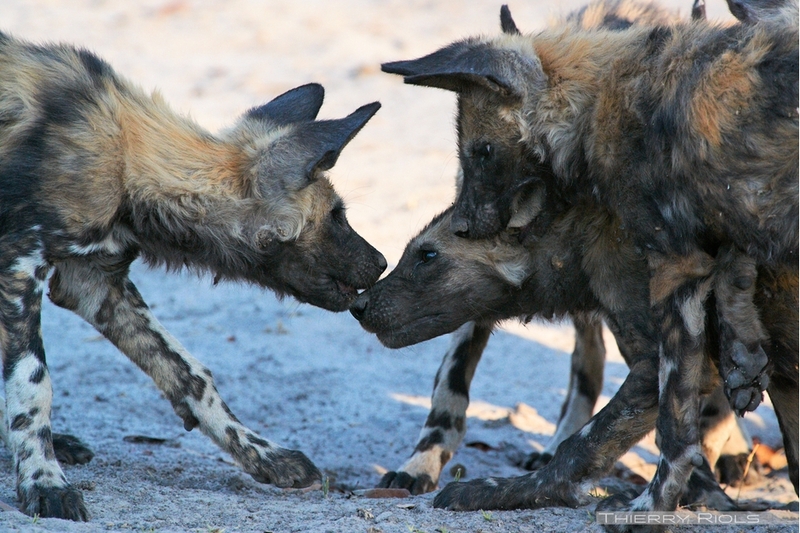 The African wild dog live in groups of twenty individuals dominated by the alpha couple. 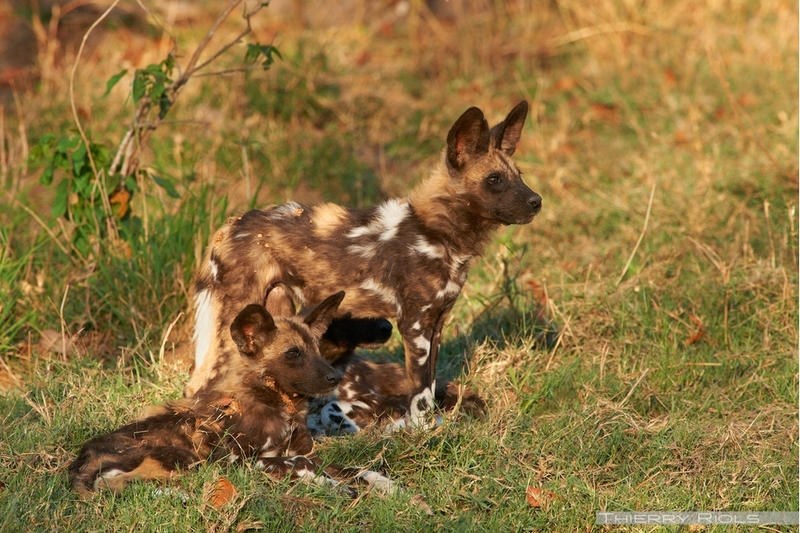 The species is endangered, represented by about 3, 000 individuals.